What can possibly go wrong in the Bermuda Triangle? For the past two weeks, boat delivery Captain Em Ridge has been ferrying a well-known TV conspiracy-theorist around the waters of the Bermuda Triangle. She is tired of his tales of reptilian governments, middle-earth civilizations and of course, all his theories about the Bermuda Triangle. Em just wants to finish up this assignment, get paid, and head back to her home in Maine. But a chance sighting finds them aboard a “ghost sailboat”. The salon is set neatly for supper, wine in the glasses, pots on the stove, bread on the table and not a soul aboard. Worse, she knows this boat. When a black cat slinks noiselessly around her feet, Em’s alarm hikes up to horror. Has someone purposely set this boat out here? Is it a warning? To her? 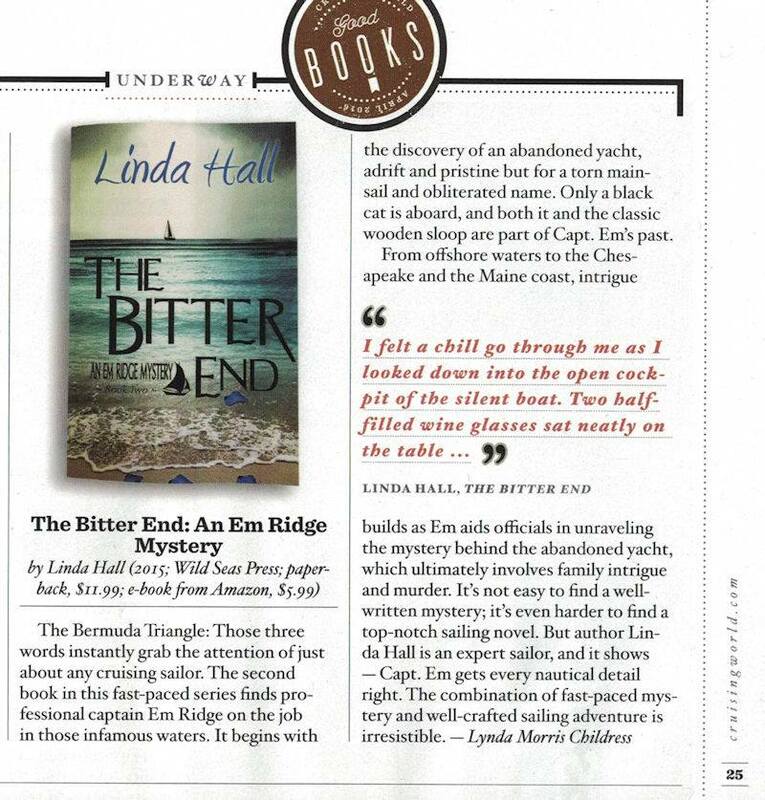 Finding this boat plunges Em into a decades old mystery that threatens not only her, but her entire family. 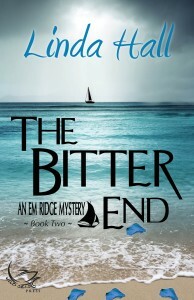 The Bitter End, is the second book in the highly acclaimed Em Ridge Mystery Series which began with Night Watch. 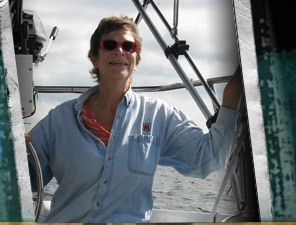 The adventure continues for widowed boat captain, Em Ridge. Welcome to my home on the web. I’m pleased you’ve decided to drop by for a visit. 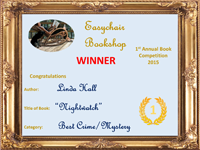 If you like mysteries, thrillers or romantic suspense, you’ve come to the right place. Browse through my pages here and come back often. It’s here I will be posting information about new releases, special events, contests and giveaways. I would love for you to visit me on Facebook, follow me on Twitter, follow me on Goodreads, check out my Amazon author page and sign up for my new newsletter.